Picking the best SSD for your gaming rig can transform your PC experience, getting you into the game faster than any old spinning platter around and, more importantly, faster than your gaming buddies. Competition is key, right? It will also make your general computer use a slicker, more instantaneous experience too. And solid state drives are no longer just the preserve of the PC gaming elite – even the best SSDs are now more affordable than they’ve ever been. And faster too… way, way faster. The top of the tech tree is still dominated by Samsung SSDs, but Crucial, SanDisk/WD, Intel, and HyperX have all still got something to add to the storage conversation too, whether it’s about capacity or price. Our SSD benchmarking gauntlet is ruthless, and only the best gaming drives make it through the tests alive. We’ve beasted the top SATA and NVMe drives around to find the best SSDs available. It is, however, easy to spend more than you need to on the priciest of NAND Flash drives, but you don’t necessarily need to break open your piggy bank for seriously speedy storage anymore. There are, however, so many different SSD technologies, interfaces, form factors, and protocols that picking the best solid state drive for your PC can be tricky. So we’ve selected the top drives around right now to help find the best SSD for you. Check out the best SSD deals at Amazon US and Amazon UK. 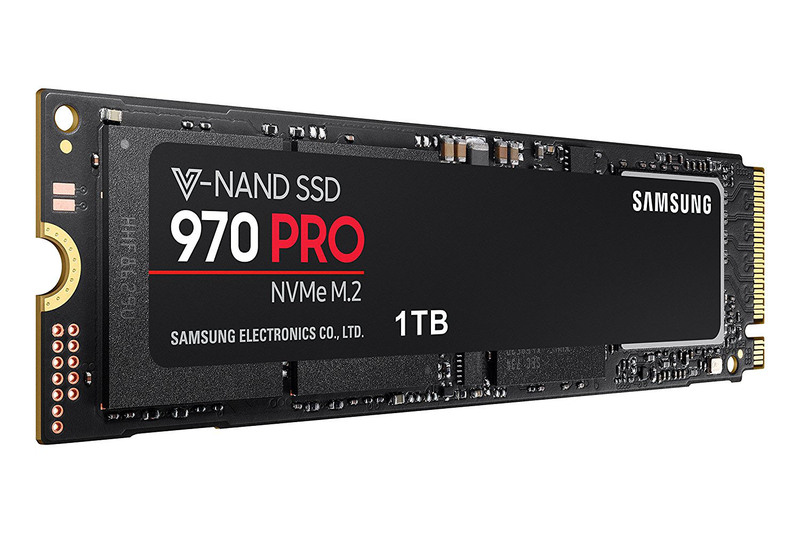 The next evolution of Samsung's NVMe drives sees more speed and the same great price. The perfect package, right? 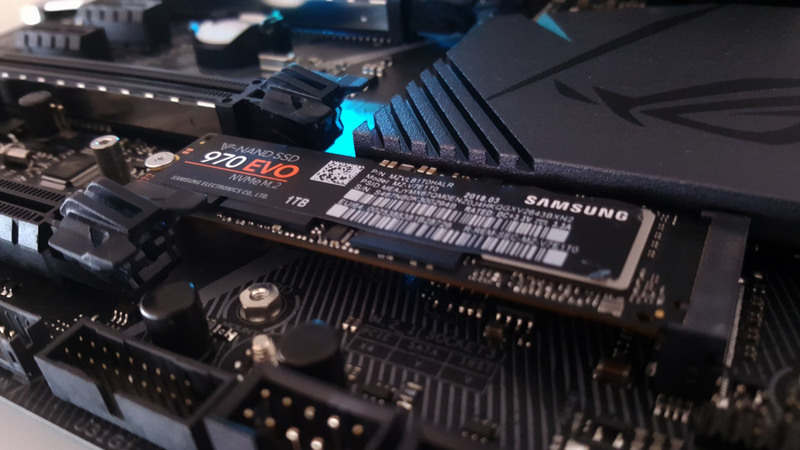 The new Samsung 970 EVO Plus isn’t a new generation of SSD, but it is the drive which likely marks the last PCIe 3.0 version before we move onto the higher spec PCIe 4.0 drives when AMD’s 3rd Gen Ryzen rolls around in the summer. 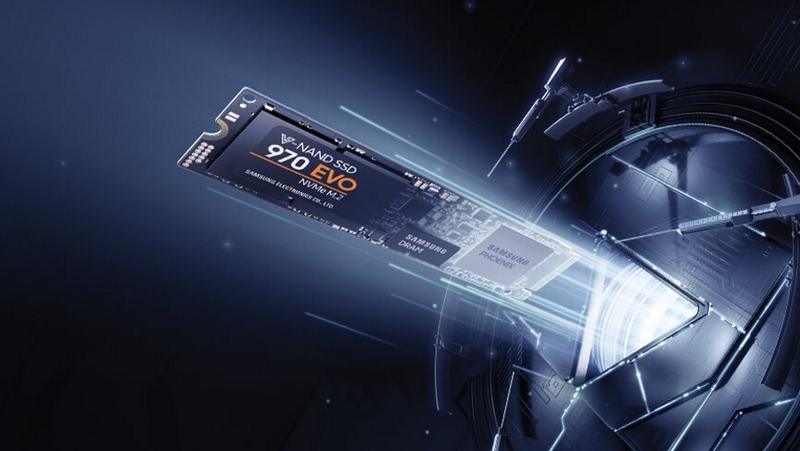 Thanks to the drastic drop in memory pricing – a trend which looks set to continue – the new 970 EVO Plus has launched at almost half the price of the 970 EVO when it arrived less than a year ago. So you have an SSD which is generally faster, especially in the write performance enabled by that enhanced Phoenix controller, and one that is at least the same price as the drive that it is replacing. That’s how you do iterative hardware updates, people. Read our full Samsung 970 EVO Plus review. The WD Black SN750 doesn’t quite match the Samsung’s pace, but getting awfully near that’s its almost negligible is a serious feat in and of itself. With sequential speeds to match Samsung’s best MLC silicon, and real-world performance that’s all but identical, if you ever find the WD drive on sale you’d better move quick. After all, both this drive and the Samsung are two of the best NVMe drives you can screw into your PC as of today. The WD Black maxes out at a steady 65°C under sustained workloads, so you needn’t bother with the EKWB heat sink, either. Not unless you really plan on pushing this drive to the limits without a case fan in sight, that is. 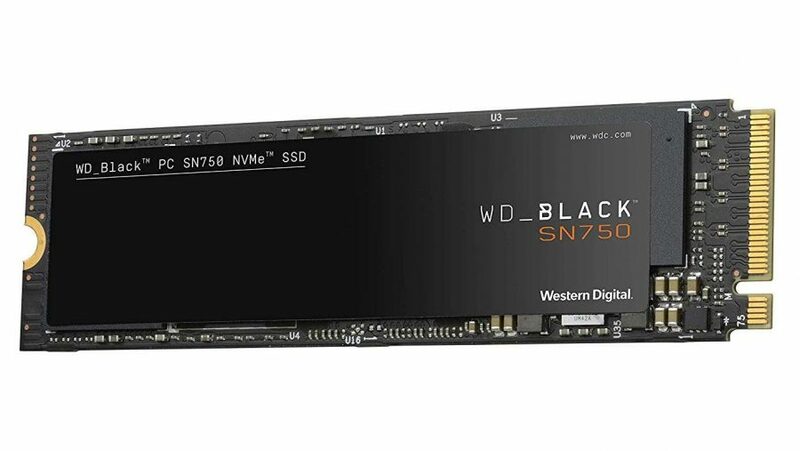 Read our full WD Black SN750 review. Speed, affordable, and a great stepping stone between the slower SATA drives and the pricey big-boy NVMe SSDs. Intel’s SSD 600p is a rather un-Intel kind of drive. 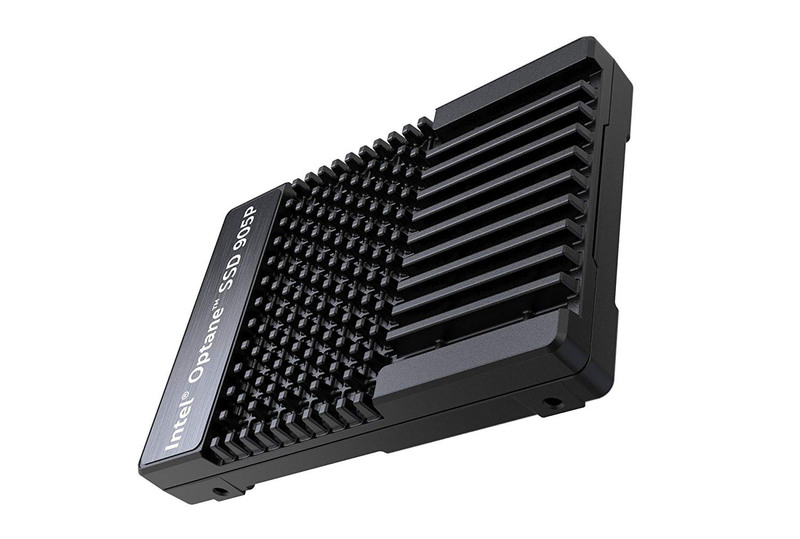 Where they usually aim to produce high-spec, high-price and high-performance parts the SSD 600p is taking aim at the more mainstream market. It’s kitted out with a cheaper controller and stacked TLC memory to make it one of the most affordable PCIe drives around today. It may not be the fastest, but it’s got equivalently-priced SATA drives licked and with far greater technological longevity too. 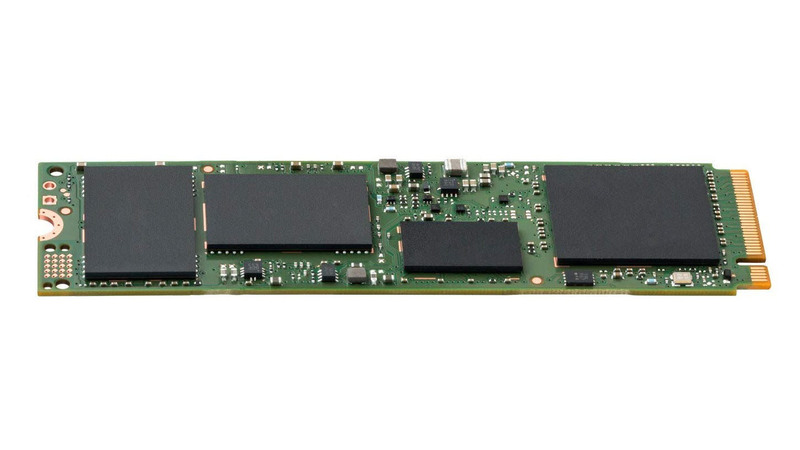 The Intel 600p is a great little entry-level NVMe SSD. Read our full Intel SSD 600p 512GB review. SATA drives might not have the pace of their NVMe cousins, but the 860 EVOs are quick and affordable. 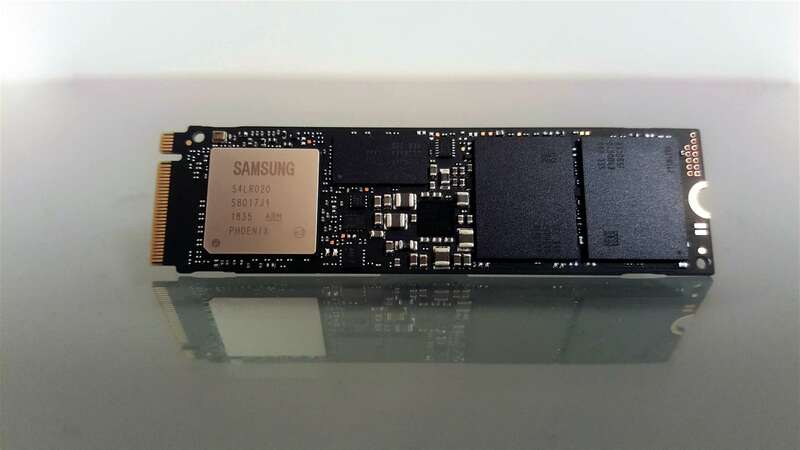 The latest Samsung SATA SSD shows the current thinking from the storage kingpin is that even if you can’t massively boost performance you can beef up the endurance and warranty levels thanks to mature NAND memory tech. Read our full Samsung 860 EVO review. 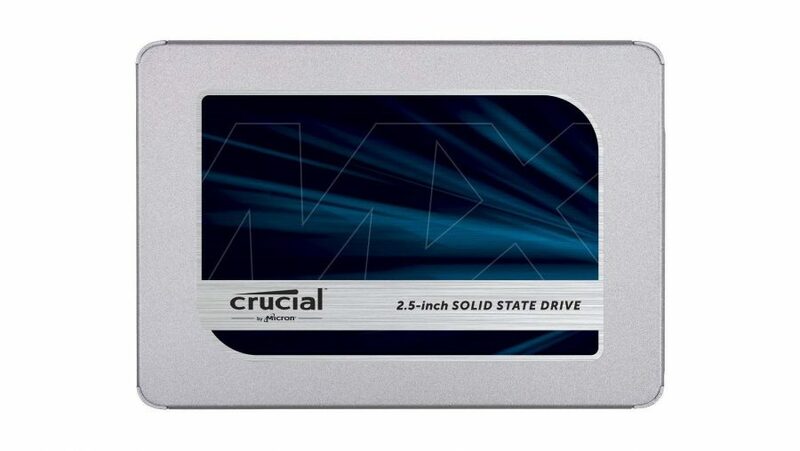 It's not all about Samsung in the SSD world, Crucial are big players and the MX500 is an excellent-value SSD. Samsung might rule the roost at the top of the solid state tech tree, but Crucial is able to give it a bit of a headache at the more affordable SATA SSD level. Because of its Micron parent company, Crucial is able to offer SSDs using its own high-quality memory for a great price. The MX500 seriously undercuts the competing 860 EVO, and is able to offer almost identical SSD performance – that’s not surprising given the speed limit imposed by the old SATA interface. The only reason the 860 EVO gets the nod is because of that improved endurance – the MX500 still only has a 3 year warranty to give you peace of mind. Read our full Crucial MX500 review. The EVO might be the go-to SSD for most people, but if you need a serious drive then the Pro is where it's at. If the Samsung 970 EVO is able to post almost the same synthetic benchmarks as the 970 Pro why should you spend the extra cash? 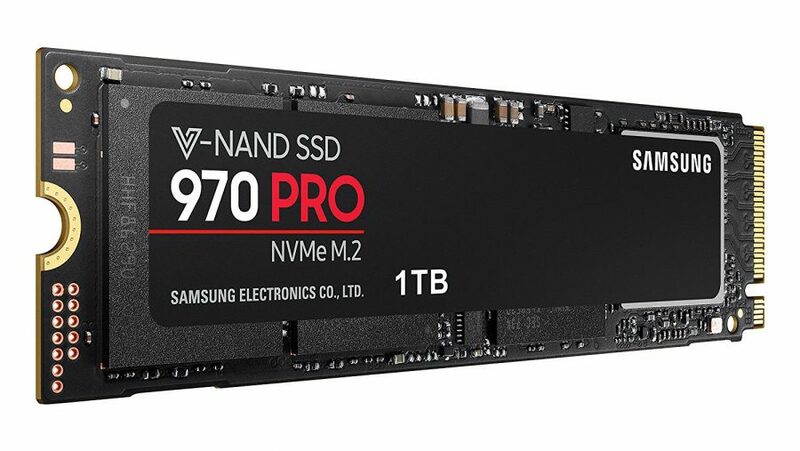 For most users there’s little need for a pro-level SSD, but if you want the absolute fastest solid state drive around then the 970 Pro is the one to go for. The Pro and EVO both have identical 5 year warranties, although the Pro has an endurance rating of 1,200TB, while the 1TB EVO has 600TB and the 500GB version only 300TB. If you’re running a serious workhorse of a machine, one that’s churning through large amounts of data continuously, you’re going to want to opt for the locked-in reliability of the 970 Pro. That's a lot of money for a 480GB SSD, but its advanced 3D XPoint memory means it will last longer. The Intel Optane SSD 905P features the latest iteration of the 3D XPoint memory, a new kind of NAND flash that delivers genuine high-end sequential performance. It’s not quite up at the same level as the Samsung NVMe SSDs, but that’s not the last word in SSD-land. The Optane SSD’s 3D XPoint memory also delivers hands-down the quickest random 4k read/write performance we’ve ever seen in a consumer drive. But it’s the level of endurance the drive offers which is totally unprecedented. Where most drives’ lifespans are measured in terabytes the Optane SSD 905P is measured in petabytes, 8.76 of them. The 970 Pro, by contrast has an endurance rating of 1.2PB. Read our full Intel Optane SSD 905P review. The 250GB capacity is about as small as you want to go for a boot drive, but the 860 EVO is just about the best. 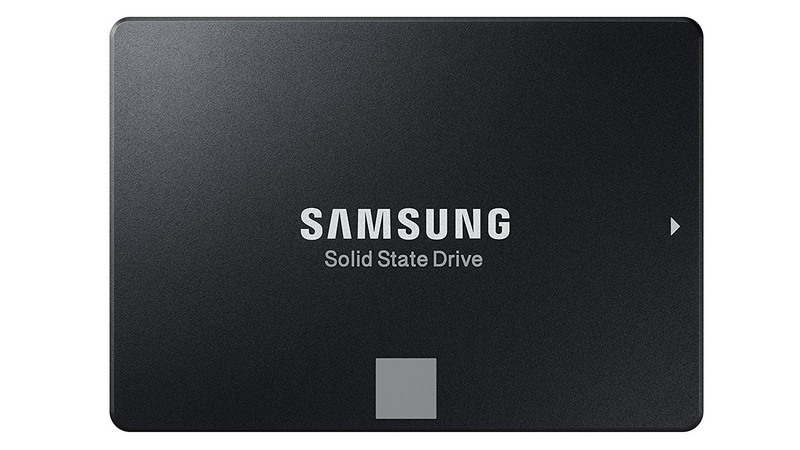 Because the entirety of its SSDs are made in-house – from memory to cache to software to controller – Samsung is able to be incredibly aggressive on price. And that in turn means its lower-capacity drives are among the cheapest, as well as the fastest, solid state drives around. The 250GB EVO can’t quite match up to the speeds of its larger-capacity siblings, sitting below the 500MB/s mark for reads and below 400MB/s on the writes, but it still remains strong when it comes to the 4k random read/write performance of the drive. The 250GB mark is probably around as small as you want to get for a SSD designed to hold your OS and the games you’re playing the most right now. A great drive that mixes in-house silicon with great performance. All at a great price, too. 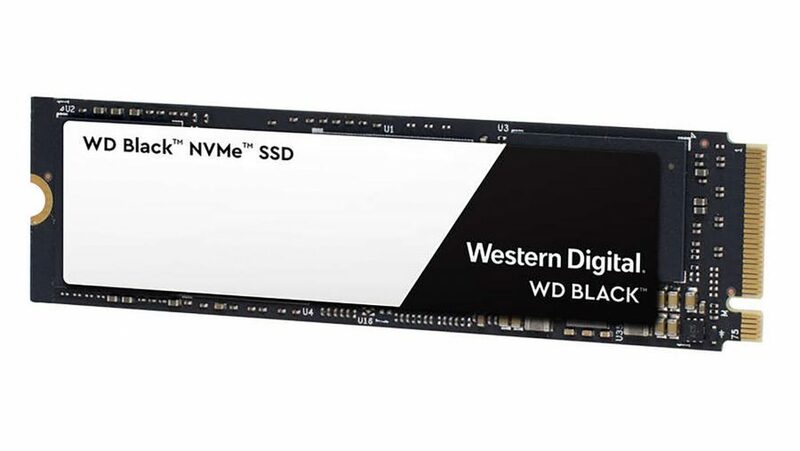 With the performance of Samsung’s top leading drives and an affordable price tag to boot, the WD Black NVMe is a seriously good buy. While the drive still falls short of the Samsung in synthetic benchmarks, it closes the gap considerably in real-world performance tests. It even topped the Samsung 970 Evo in a 30GB file copy task. With SanDisk’s 3D NAND technology and WD’s own in-house controller – and since SanDisk and WD are now one and the same – this year’s Black SSD is now able to match Samsung’s homebrew SSD approach that has helped it stick in the top spot for so long. 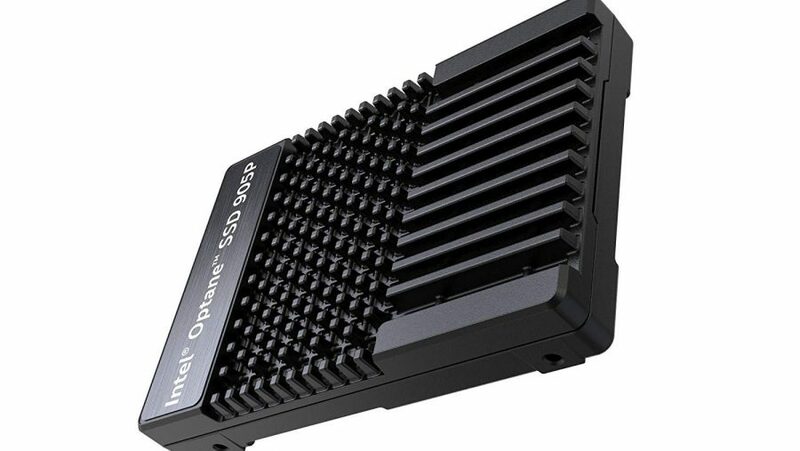 While 250GB is still a little on the low side for an SSD in this day and age – that’s only a few major game installs – the 500GB version is a tempting alternative to the humdrum of an SSD market ruled by Samsung. Read our full WD Black NVMe review. The Crucial MX500 is already one of our top picks for the best overall SSD for gaming. But with a price tag that low, it’s damn-near the best SSD going for budget gamers, too. Manufactured by Micron, the Crucial MX500 is fast, reliable, and fantastic value for money. Now if only it could match Samsung on the five-year warranty…. There has never been a better time to make the move to an SSD for your main rig. We’re getting to the stage where it no longer has to be a tiny drive that can only fit the barest of OS essentials either, genuinely capacious drives are available for decent money now. Hell, you can even buy the fastest 500GB NVMe SSDs for less than $150 now, which is why Samsung is simply the undisputed king of solid state storage. It’s been at the game long enough to know how to match a quality own-brand controller with its own-brand NAND flash memory, and make it for an affordable price. That’s why the 970 EVO is our SSD pick, and has been since launch. But Micron also have something to say. Like Samsung it can mix its own memory with refined memory controllers, and ship complete drives for a great price. They don’t quite have the Samsung performance, but they’re not far off. Intel is also making great strides with its 3DXPoint memory, though it delivers unprecedented 4k random performance, it is still mighty expensive… a potential future tech then. As is QLC memory, which offers both value and capacity, and could spell the end for spinning platters in our PCs once the tech matures.